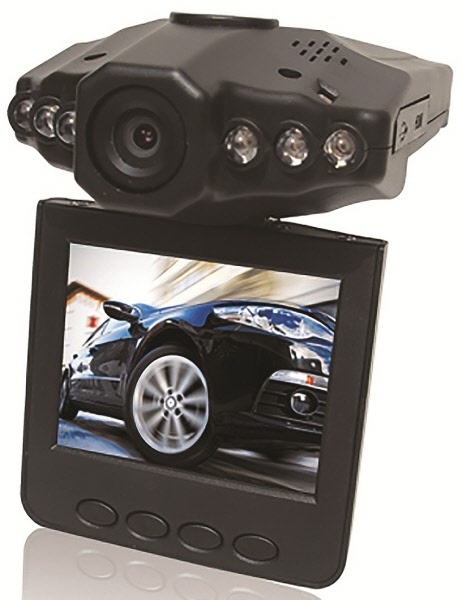 Capture traffic incidents as they happen with our fantastic In-Car Digital Dash Camera. Resolution 720p (1280x720) It can be used to help avoid disputed accidents, film dangerous drivers, lane huggers or tailgaters - all of which can be captured on this digital recorder thanks to its 45º field of view. For ease of viewing, this product features a reversible screen with 90º Tilt and 270º Rotation. Importantly, it gives you peace of mind from knowing you have the perfect impartial witness as and when you need it, with all the video evidence stored on an Micro SD Memory card (up to 32GB, not supplied - just download it to your computer). It even works at night too, automatically switching to night vision. Powered by a built-in rechargeable battery or from the car charger (with a generous 3.2m/10ft 6in cable), it is also supplied with a USB cable and a multi-position mounting arm. When not in use just tuck it in the glove compartment.